Since the Discovery Investigations of the 1920s and 1930s, seawater temperatures have increased in the Atlantic sector by ∼1 °C; greater than the global mean rise. The aims of this paper were first to rescue the Discovery macrozooplankton data, second to provide quantitative “baseline” distribution maps, relating these to indices of temperature and food. Our third aim was to use the relationships we derived between abundance and temperature to project the potential affect of a 1 °C warming on the Discovery era distribution patterns. 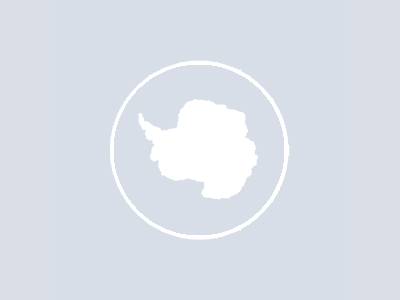 Based on the 1 m ringnet data retrieved from 615 stations (Nov–March), four taxa comprised >90% of the Antarctic macrozooplankton abundance: Rhincalanus gigas, Thysanoessa spp., Euphausia superba, and Chaetognaths. Most of the taxa, especially the more abundant ones, were warm water species penetrating into Antarctica and thus total macrozooplankton abundance decreased about 100-fold from 50°S to 70°S. While temperature correlated best with distribution at this large scale, food availability (proxied by a present-day satellite-based Chlorophyll a climatology) had a secondary effect, with the major euphausiids Euphausia superba and Thysanoessa spp. concentrated in high chl a areas. A modelled uniform 1 °C temperature rise produced a poleward shift for all taxa, but the Antarctic continent blocked this re-adjustment for the high latitude species, constricting their predicted range. More widespread polar/sub-polar species were predicted to increase their penetration into Antarctica by 4–12° in latitude, whereas the poleward shift in potential range of sub-Antarctic taxa were limited by the steep temperature gradient across the Antarctic Polar Front (APF). However, within the Scotia Sea the relatively warm temperatures of the northern Antarctic Zone, abundant food due to iron fertilisation and intense eddy activity provide a “gateway” for northern species to penetrate south of the APF. Our model predictions, based on measured distributional ranges and observed temperature increases, provide a yardstick with which to compare modern day data compilations and assess the potential effects of future temperature increases.